I adored Makiia Lucier's debut novel, A Death-Struck Year, so I was thrilled to learn that she was coming out with a new novel. 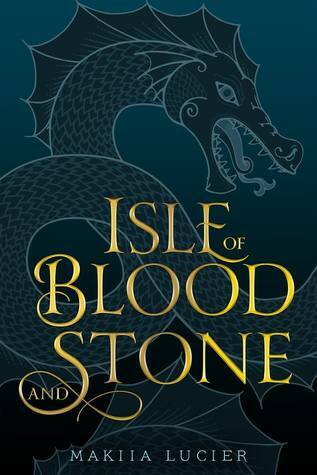 While I had hoped for more historical fiction, I was pleasantly surprised to find that while there are historical elements in this new novel, it is much more in the realm of fantasy than history. A word of caution, readers, this novel is truly a slow burn, but the payoff is well worth it and this is sure to be one of my favorite 2018 releases. The novel opens with a prologue that focuses on a mysterious tragedy in which members of the royal family along with those who serve the royals are killed by an outside group. Nobody knows for sure what happened that day, but it is widely believed that the princes, a famous cartographer, servants, and numerous members of the royal guard were murdered. For eighteen years nobody has questioned this, but two maps with distinctive characteristics are located which bring into question everything that has been believed about that fateful day. A trio of friends will do whatever it takes to learn the truth. The novel largely focuses on Elias, a royal cartographer whose father was rumored to have been among the dead eighteen years ago. He is a friend to the new king, Ulises, who is believed to be the only living son of the royal family. Both young men need to know if the maps can lead them to answers, but are they brave enough to hear the truth? Elias also finds that he cannot venture forward with his quest without feminine assistance in the form of the tenacious and cunning, Mercedes, and a youthful aspiring mapmaker, Reyna. 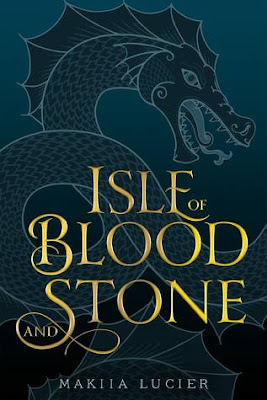 Isle of Blood and Stone is a gorgeous fantastical tale full of lore, adventure, and friendship. The novel is compelling, inventive, and makes me wish the sequel would magically appear in my hands. I loved the complexity of the narrative and the intricate details of the relationships in this one that unfolded over time. There are so many plot points I want to discuss, but I'll refrain to avoid spoiling it. Seriously, just get your copy today and find a cozy spot to spend a few hours losing yourself with Elias and Mercedes. One Last Gripe: This novel checks all the boxes for me and I don't have any major complaints. If I have to have a gripe it would be the lackluster cover. My Favorite Thing About This Book: I loved the world building. First Sentence: The outing had been planned on a whim; an afternoon lesson up in the hills, away from the smoke and stink of the city. Least Favorite Character: I can't say without spoiling things. The people of St. John del Mar have never recovered from the loss of their boy princes, kidnapped eighteen years ago, both presumed dead. But when two maps surface, each bearing the same hidden riddle, troubling questions arise. What really happened to the young heirs? And why do the maps appear to be drawn by Lord Antoni, Elias's father, who vanished on that same fateful day? With the king's beautiful cousin by his side—whether he wants her there or not—Elias will race to solve the riddle of the princes. He will have to use his wits and guard his back. Because some truths are better left buried...and an unknown enemy stalks his every turn.